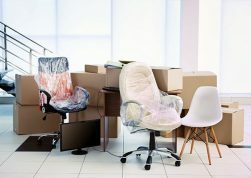 6 Ways to Make Your Corporate Move a Success - Move Star Inc.
Moving your business and all the equipment and furnishings that go with it can be a Herculean task. Here are a handful of tips to help you make that commercial move quicker, easier, and less stressful for everyone on your payroll! Depending on where you will be moving to and from, you may need to acquire parking permits for the moving vehicles. 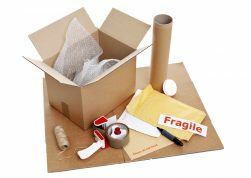 Be sure to do this upfront or inform your movers in advance so that they can take care of it for you. Being able to give your movers complete and accurate information is important to achieving a successful corporate move. Make sure you have all of this information up front, including addresses, dates, times, phone numbers and any concerns or requests you may have. Can’t be there on the day of your move? Make sure someone – preferably a paid member of your team, aged 18 or older – can be there to supervise and answer questions. Give your moving company a number through which to reach you or other management professionals during the moving process and keep communication open with that line. You never know when a question or concern might arise. If you or members of your staff will need to arrange travel for the move, do so early so you aren’t stuck without somewhere to stay on moving day. When you’re moving your business, you’re letting someone take your entire livelihood into their hands. That’s why you should hire smart; trust a top-rated, fully bonded, licensed and insured Dallas moving company like Move Star to transport your items. Move Star has experience with more than just office spaces; our repertoire includes highly-successful and stress-free moves for clients needing medical equipment and furnishings, information technology equipment, manufacturing machinery and equipment and more move safely. Don’t go elsewhere when every commercial moving need is met right here with Move Star. You’ll get excellent value for your money – and the peace of mind that no price can achieve.